Led by Dr. Chelsea Tripp, Veterinary Cancer Specialty Care (VCSC) has moved to a new, expanded location with a plan to adopt additional departments, called BARC. We are now joined by Eye Clinic for Animals of Puget Sound and Dr. Mario Hodgson. BARC retains VCSC's trusted reputation, while adding new treatments and services to meet the needs of veterinarians and pet owners. 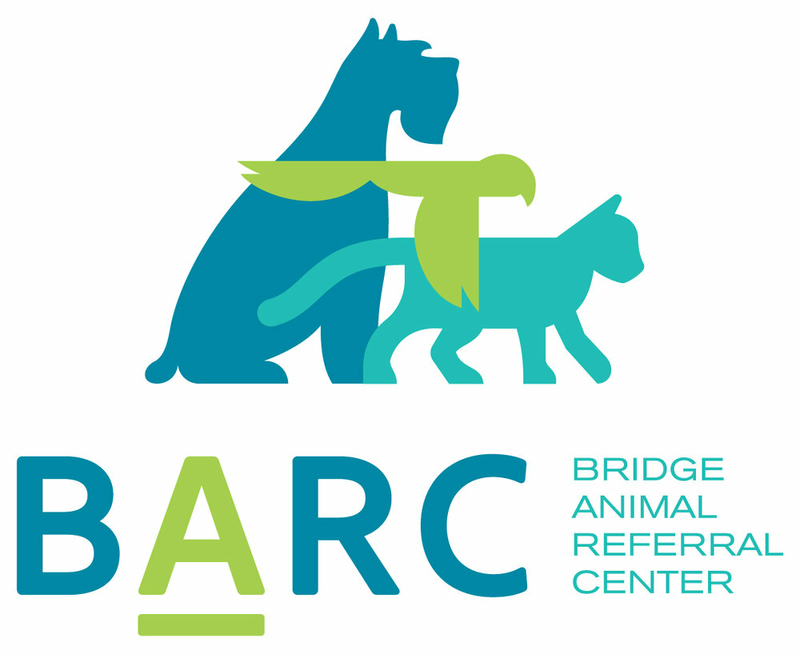 Bridge Animal Referral Center (BARC), provides effective treatments with a personal, caring touch. Working in tandem with family veterinarians, we ensure that beloved pets are given the care they deserve­ and owners receive the support they need. BARC's streamlined process promotes better results, offers peace of mind, and provides more cherished moments for your client and their pet. continuity of care. We're dedicated to providing advanced treatment options, trustworthy communication to veterinarians and pet owners, and efficient services. BARC collaborates with you, the trusted family veterinarian, to provide the best possible treatment for your patient. Contact us today to refer your client to BARC! Chelsea Tripp, DVM, MS, DACVIM (O) is a internationally-recognized speaker on electrochemotherapy. This unique therapy is an excellent option for incompletely resected mast cell tumors, soft tissue sarcomas, oral melanoma, digital squamous cell carcinoma and more. This therapy couples chemotherapy drugs with waveform pulses to treat superficial tumors. We have the most experience in the Seattle area with this unique therapy as Dr. Tripp was the first veterinary oncologist to offer the technique on the West Coast. BARC is constantly on the look out to bring new therapies to our patients. We are a clinical trial site for Aratana, have novel UV light therapy and have the newest Veterinary Approved chemotherapy agent Tanovea for our lymphoma patients. BARC is excited to be in the process of adding Advanced Imaging & Radiation therapy facilities to our new location in Edmonds. BARC is making the most of every moment by providing compassionate, personalized, attentive care to your cancer patients. We are specifically designed to accommodate many different Oncology services, ideal for cases requiring balance of multiple disease processes and coordination of care. We keep you involved in treatment plan and communicate regularly with you and your clients throughout the process. BARC is committed to enhancing your relationship with clients, rather than trying to compete with you.......because nobody can replace you as the family veterinarian. WE LOOK FORWARD TO EARNING YOUR TRUST AND SHARING IN THE CARE OF THESE BELOVED PETS. If you have a client who needs our services, or you'd simply like to get to know us a little better, we'd love to hear from you.